To address adverse social issues affecting girls of color through self-acceptance and leadership development programs in an atmosphere of celebration, empowering them to fulfill their dreams and promote positive change in their communities. To create a movement designed to instill self-confidence, pride and leadership skills in girls and young women of color to help propel them into their positions of power and community activism, thereby creating contributing women in society. 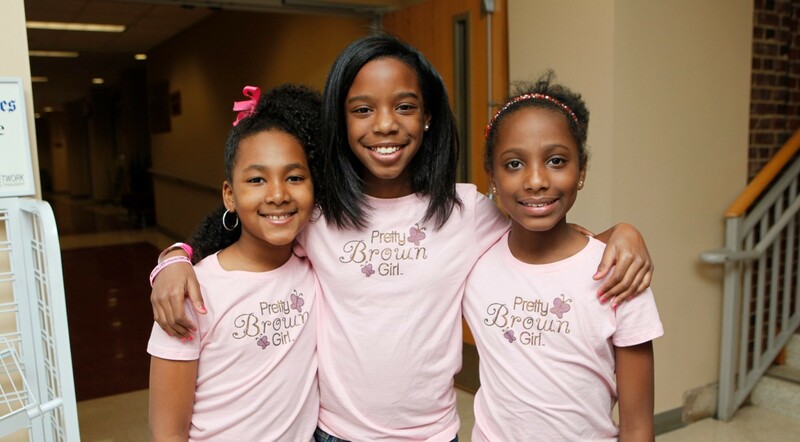 Over the past eight years, Pretty Brown Girl has helped thousands of girls across the country to have increased self-esteem with our unique empowerment products, K-12 After-School Program, Clubs and National Events. The Pretty Brown Girl (PBG) Foundation, a 501c3 non-profit organization founded in 2014, was established to answer the community’s need to offer and sustain grassroots programs accessible to girls with the greatest needs. The Pretty Brown Girl Foundation’s mission is to address adverse social issues affecting girls of color through self-acceptance and leadership development programs in an atmosphere of celebration, empowering them to fulfill their dreams and promote positive change in their communities. 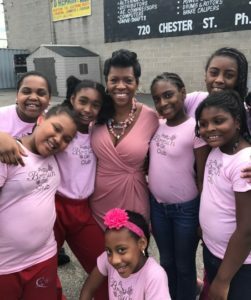 The Pretty Brown Girl Foundation is committed to inspiring positive self-esteem and self-love among our young women, but we need your help. Join us as we seek to “Empower A Girl and Empower The World”! The Pretty Brown Girl (PBG) Foundation is committed to inspiring positive self-esteem and self-love among our girls and young women. Our goal is to ensure that girls from marginalized communities will not become victims of environmental challenges that are many times exacerbated by bullying, suspension, poverty, single-parent homes, drug abuse, domestic and sexual violence or entering the juvenile justice system. We have three separate ways in which you can become a partner with the Pretty Brown Girl Foundation (Educational Partner, Community Partner & Corporate Partner). Your contributions will allow us to continue the momentum and change our communities, one girl at a time. If you’re interested in becoming a partner with Pretty Brown Girl, simply click the appropriate buttons below.